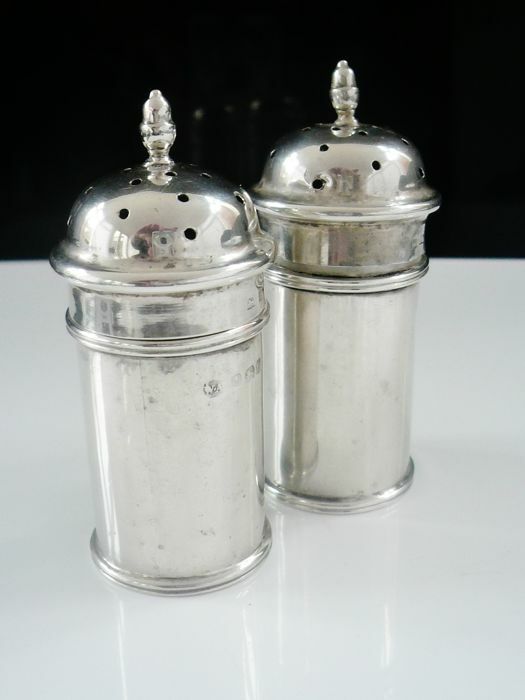 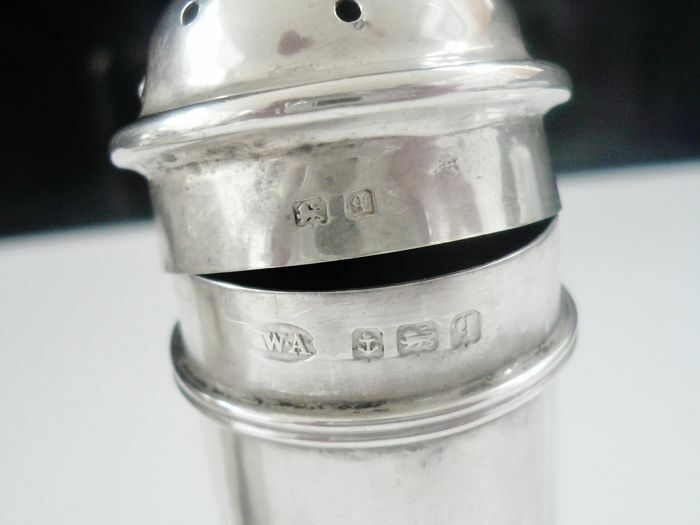 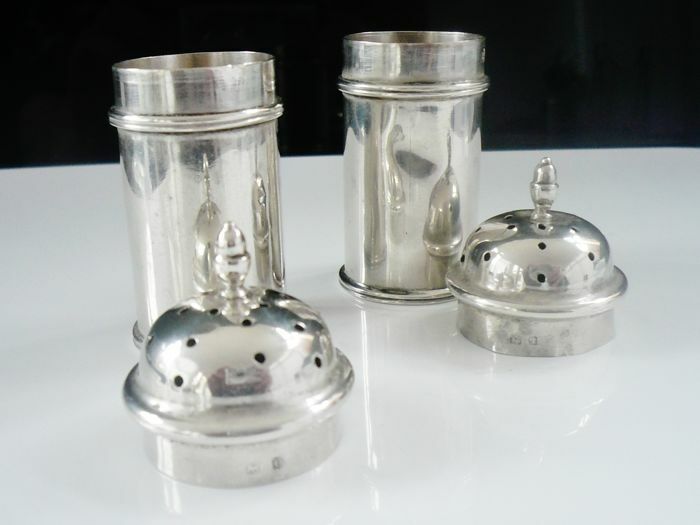 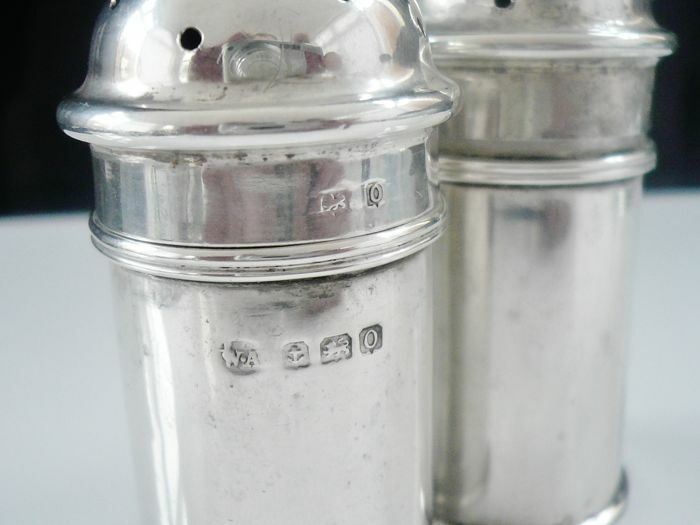 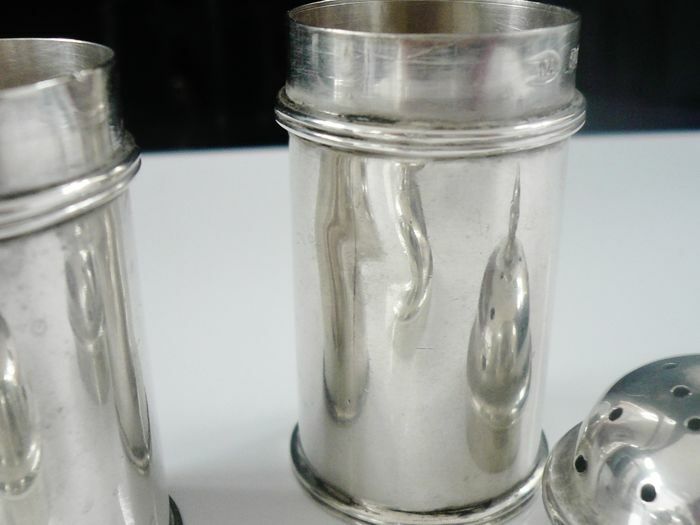 Two English sterling silver pepper pots with pull off lids by William Adams Ltd, one hallmarked Birmingham 1913 and the other Birmingham 1915. 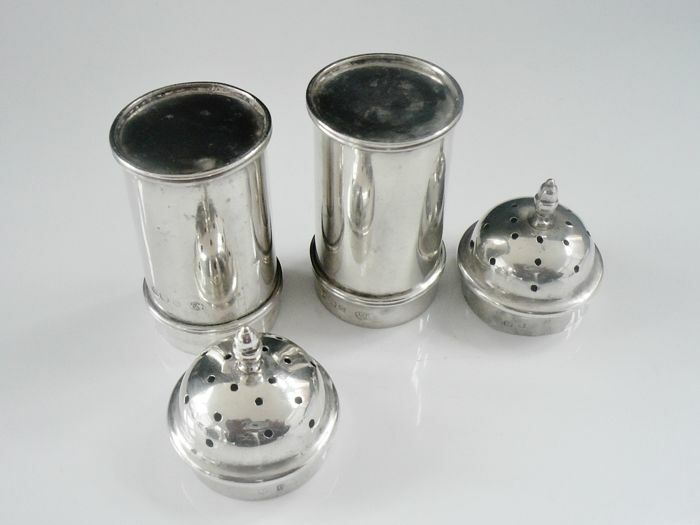 Small bruises to each, not overly drastic, they do however require a good polish as dark marks are evident on them. 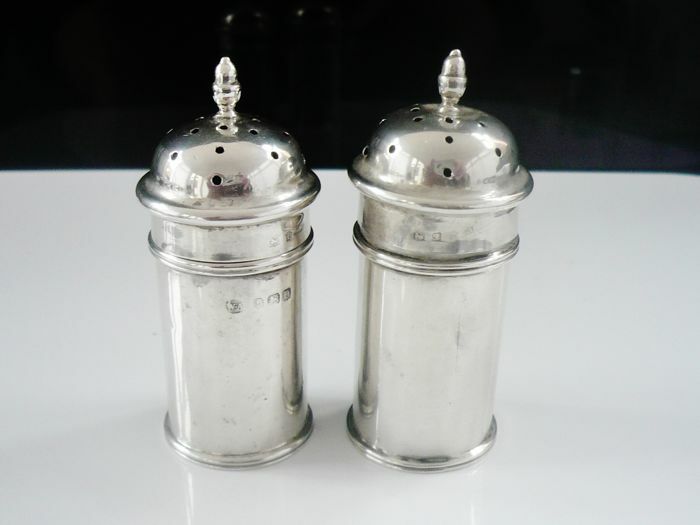 Slight differences in height, one standing 69mm the other 67mm.